Nobody remains a stranger for long at a WARP Conference where new friendships take off like wildfire. All the laughter and joy was rejuvenating, although the to-do list from all the brainstorming sessions remains daunting. but why can’t work always be as much fun as it is when Teena Jennings-Rentenaar Judy Newland, Jackie Abrams, Linda Temple, Deborah Brandon, Linda Ligon, Carol Pierce, Sara Lamb, Cathie Joslyn, and Adrienne Sloane are involved? The Conference closed with everybody on the edge of their chairs wondering what witty remarks, Cindy Lair, WARP President would come up with as she auctioned off folk art pieces at the fundraising Conference finale. One must always find an opportunity for sitting and chatting with Philis Alvic, who subtly weaves pearls of wisdom into very entertaining stories. Deborah Chandler couldn’t attend this year and was missed. Her mentoring since 2010 has been invaluable in PAZA’s progress. What would one have to pay a life coach for the suggestions and wisdom she so generously and graciously dispenses? 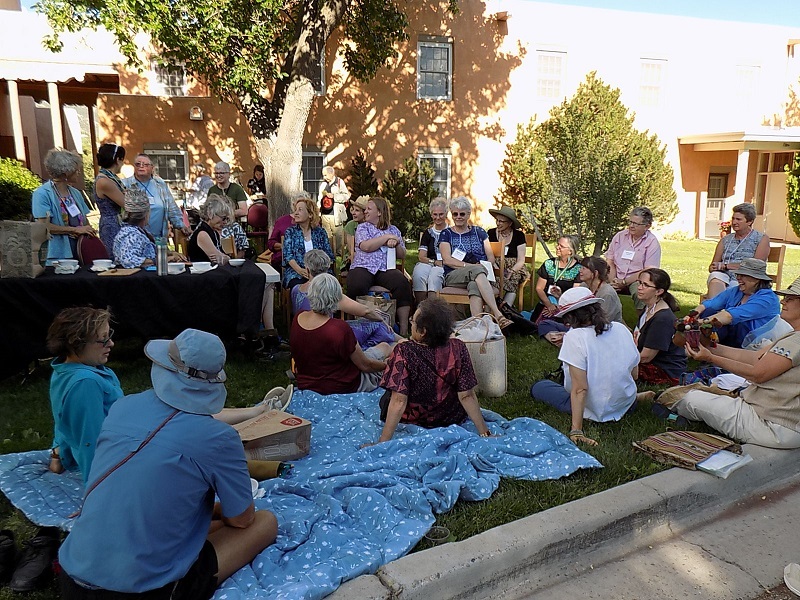 The annual WARP Conference tends to move around the country, although it’s moving out of country to Oaxaca Mexico next year. Thanks to the scheduling coinciding with IFAM this year the attendance was larger than usual. It had been a few years, so what fun to catch up with Edwina Bringle, Sam Brown, Tara Miller, Dale Fairbanks, Carol Ireland, Judy Krol, Karen Sprenger, and Susie Strauss. Personal thank yous on behalf of the Cloth Roads Team Warmis Phuskadoras were passed on to one of the original Spinzilla organizers, Liz Gipson, who helped with arrangements for the team the past 2 years. A quick verbal exchange with Marilyn Murphy, Cloth Roads cofounder and the team’s TNNA sponsor, set the ball rolling for the team’s participation this year. A highlight at the Conference was witnessing the arrival of Marilyn Anderson´s new hardback book hot off the press from Guatemala. The book is a text compilation of fading handicrafts drawing on her decades of travel and research in Guatemala and illustrated with her woodcut prints. The books arrived just in time for the Sunday afternoon book signing. Marilyn´s husband, Jon, had joined her this year and hopefully he will attend future conferences. WARP connections tend to have a ripple effect. 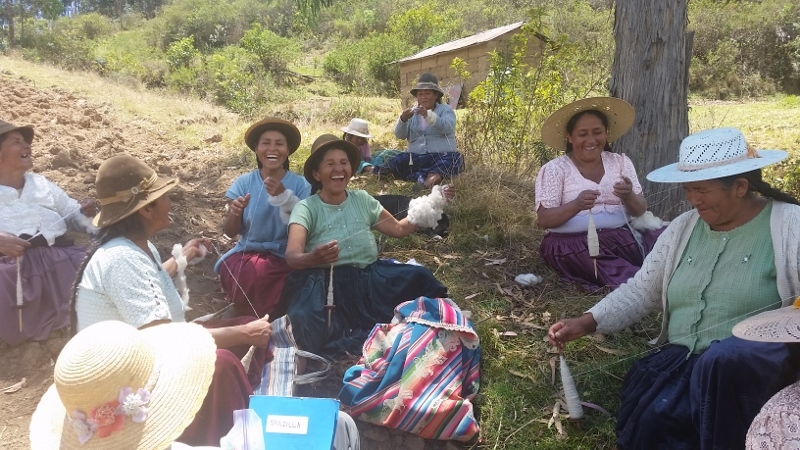 It was through WARP that PAZA heard about and received support to attend the first Tinkuy International Weaving Conference in Cusco, Peru in 2010. 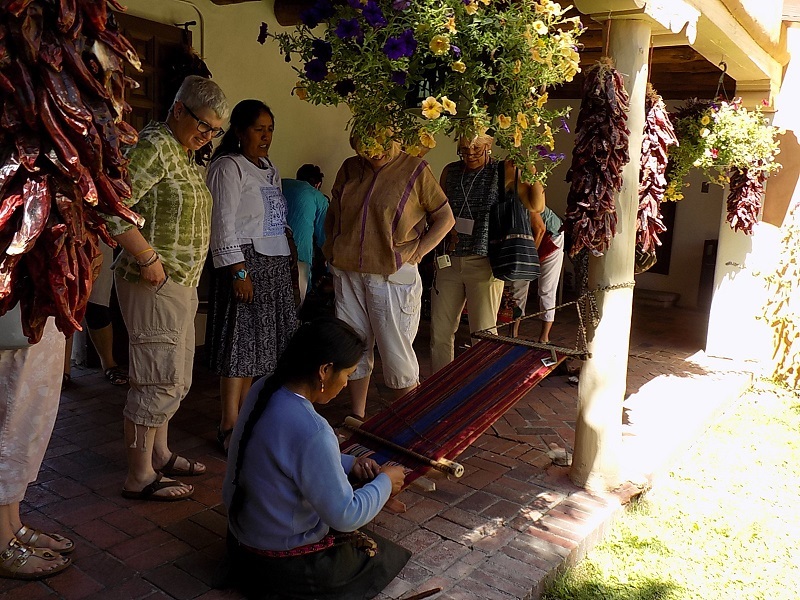 The Tinkuy is hosted by the Centro de Textiles Tradicionales de Cusco (CTTC) and their Director and WARP member, Doña Nilda Calluñuapa. 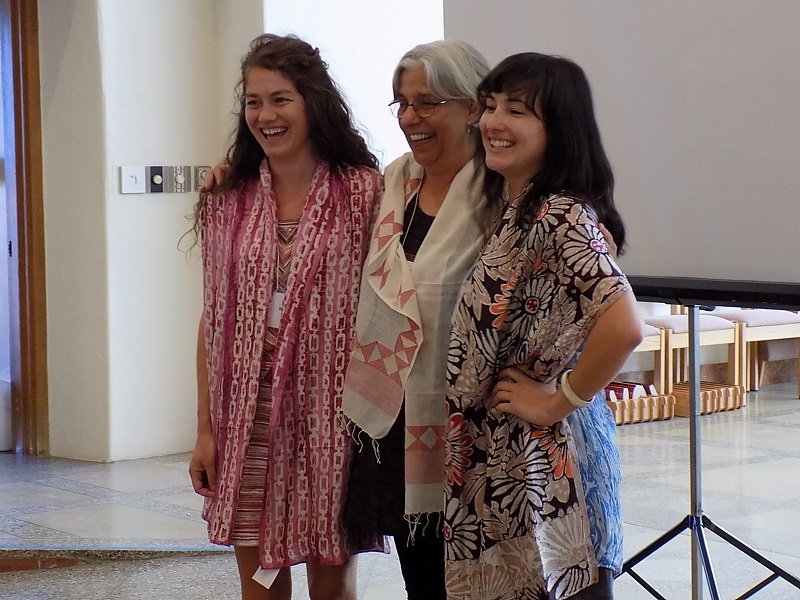 In 2010, Dorinda and Doña Maxima roomed with WARP member Laverne Waddington. Laverne has placed annual weaving orders ever since and her exacting specifications have been fundamental in the improvement of weaving quality over the years. 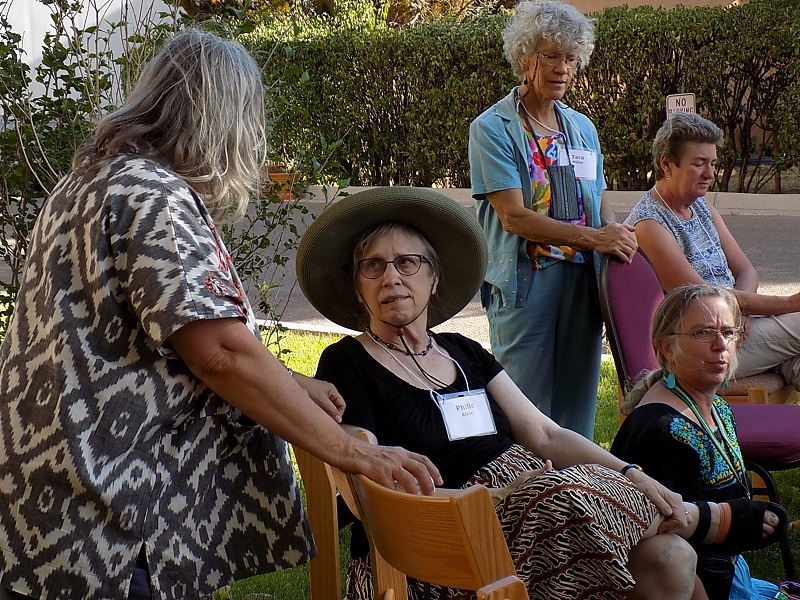 This year a number of weavers who host Laverne´s U.S. weaving workshops placed orders as well, including Marilyn Romatka, founder of Taproot Folk Arts. The WARP Conference provided the opportunity for several brainstorming sessions between Marilyn and Dorinda that went beyond what email correspondence would have provided. Thank you Kelsey, Jackie, and Katie For Your Years on the Board! 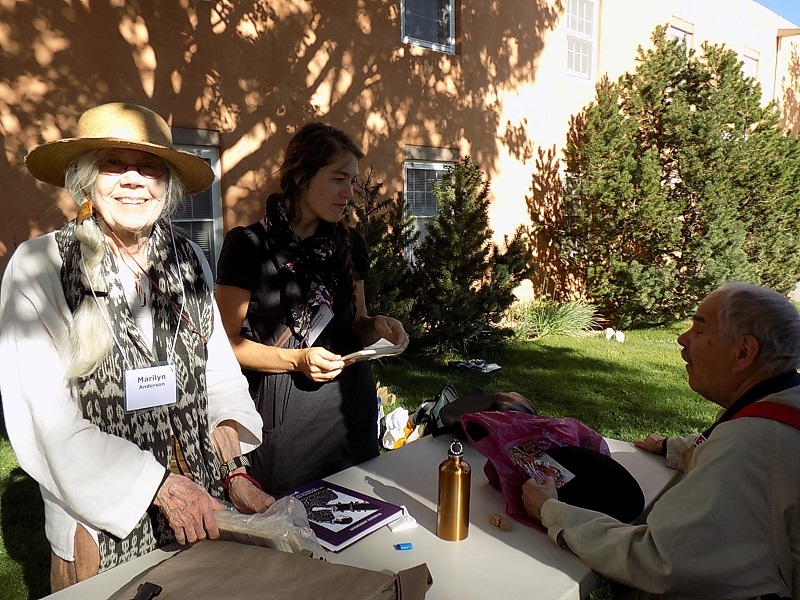 Nancy Meffe has been a WARP member and a PAZA supporter for years, and attended this year’s WARP Conference. 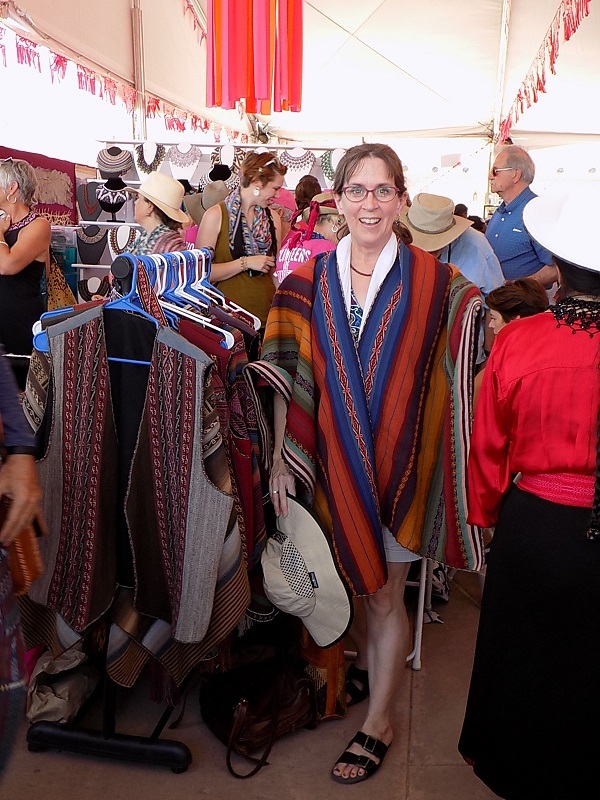 She sells her own weavings through craft fairs and donates the proceeds doing business as “Weaving for Women of the World”. 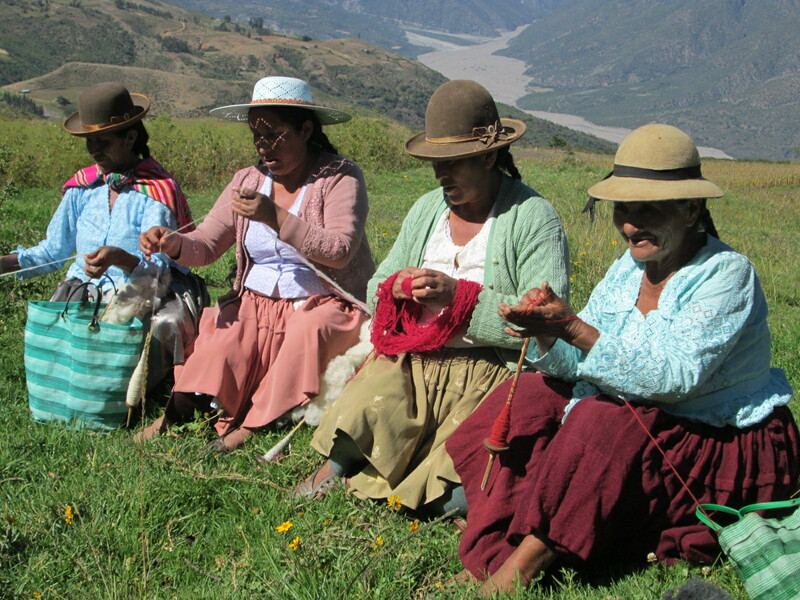 When I’m asked about what one can do to be involved with weavers in marginalized communities because moving to a remote mountain village isn’t practical I cite Nancy’s work as an excellent example of weavers helping weavers. Great reporting, Dorinda. Nearly as much fun as being there. (Well, maybe not quite.) You and PAZA are one of WARP’s great stories, too! Thanks for being such a committed and enthusiastic member! See you in Oaxaca? Of course.